I find that when you live in a developing country like the Philippines, the phrase “world class” gets thrown around more than it should. It’s an ambitious term used to generate interest for new developments. 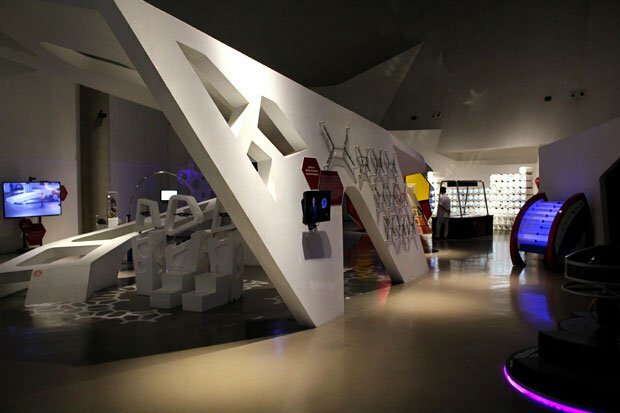 When the Mind Museum first opened three years ago, I remember it being used quite a bit. Most of the time, it’s just hyerbole that doesn’t measure up to the reality. But in this case, I think it does. 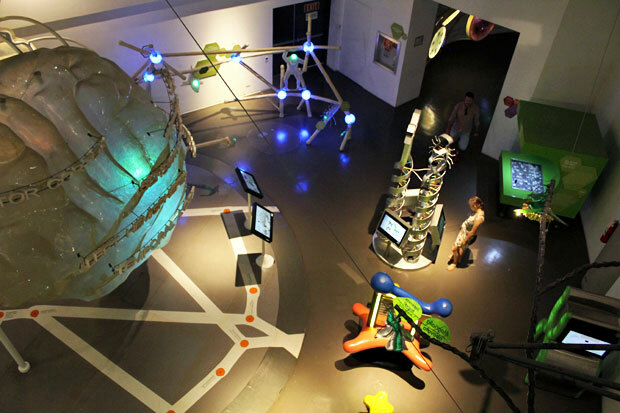 A 1 billion peso project that occupies 12,000 square meters of exhibit space, the Mind Museum is a great place to spend a couple of hours with your kids. 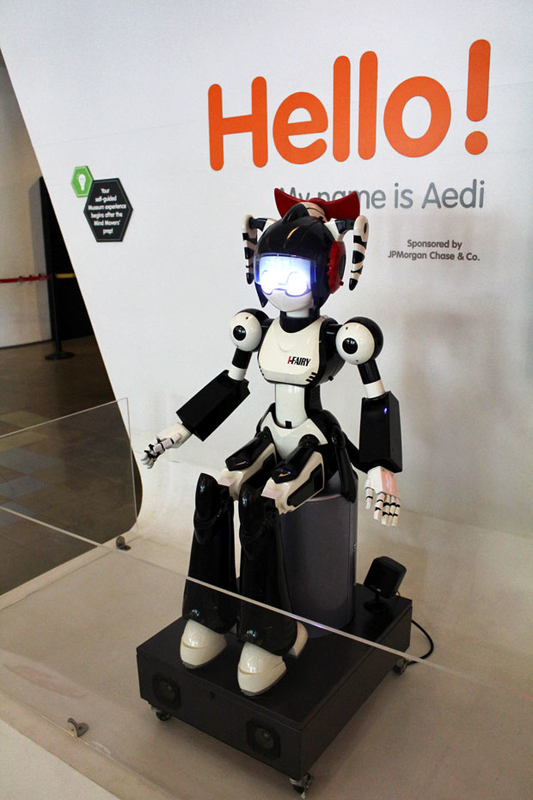 What I liked about it is that most of the exhibits encourage some level of interaction. Not only will they learn about things like gravity, fission, and evolution, but they’ll be doing it in the funnest way possible. 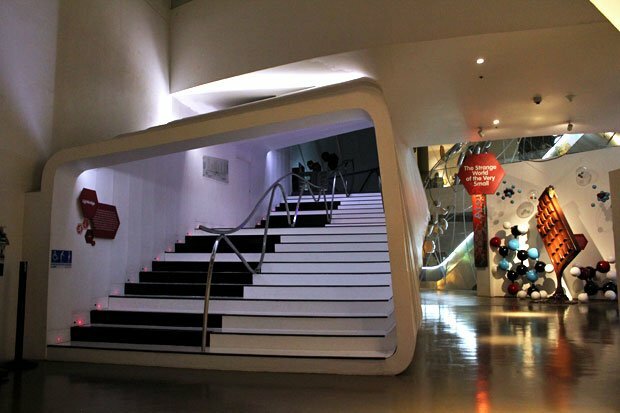 I was fortunate to visit the Powerhouse Museum in Sydney a couple of years ago, and though the Mind Museum isn’t on par with that, the gap between the two isn’t as wide as I thought it would be either. 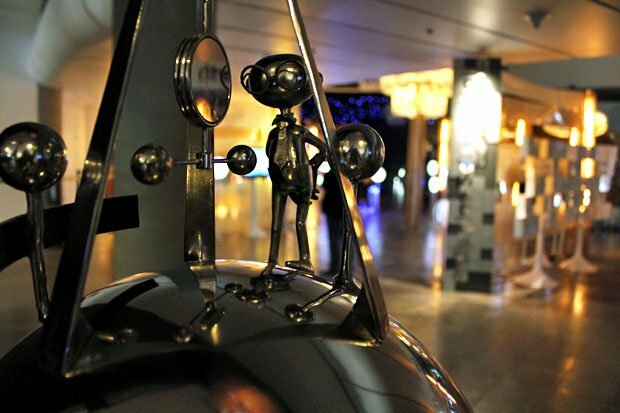 Greeting you before the entrance to the galleries are these sculptures depicting the 10 most beautiful experiments. Can you name them all without clicking on the link? 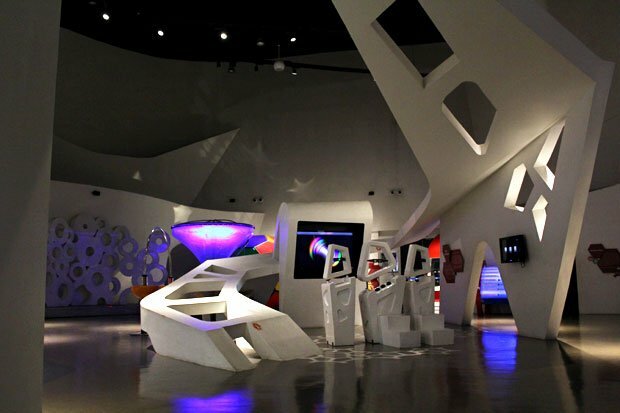 The Mind Museum is comprised of five galleries — Atom, Universe, Earth, Life, and Technology. 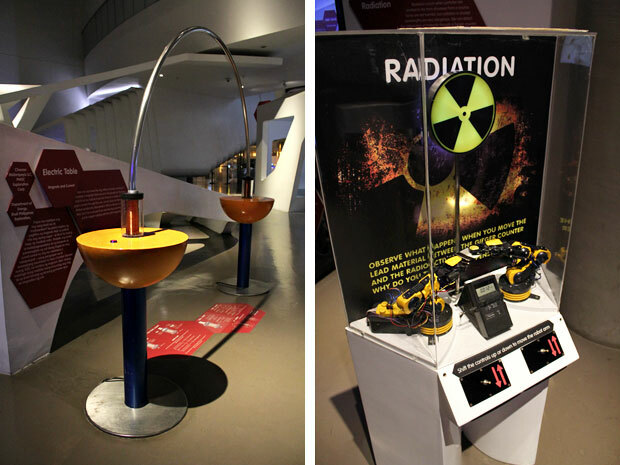 The Atom Gallery showcases exhibits about infinitesimal forces and particles. L: On magnets and currents — at the push of a button, magnetic forces propel a ring from one side of the arc to the other. The atom centerpiece. 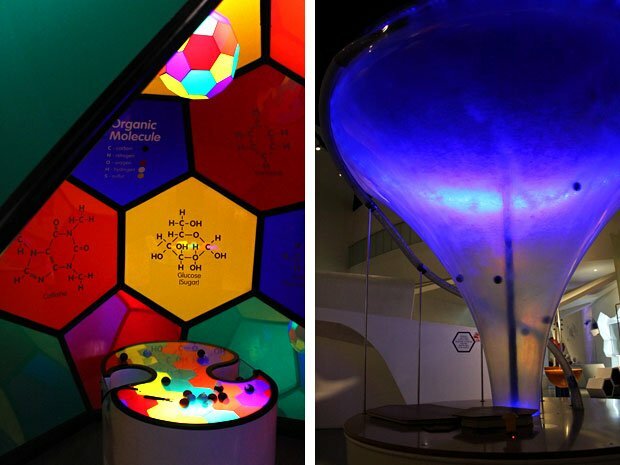 Containing a 3D visualization of atoms, this exhibit gives visitors a glimpse of how electrons behave. L: On carbon — A game that illustrates why carbon is such an important and versatile atom. R: On whirlpools — At the push of a button, several balls shoot up before spiraling down a transparent funnel to playfully showcase the effects of gravity and centripetal forces. What do these steps look like to you? If you said “piano keys”, then you’re absolutely right. 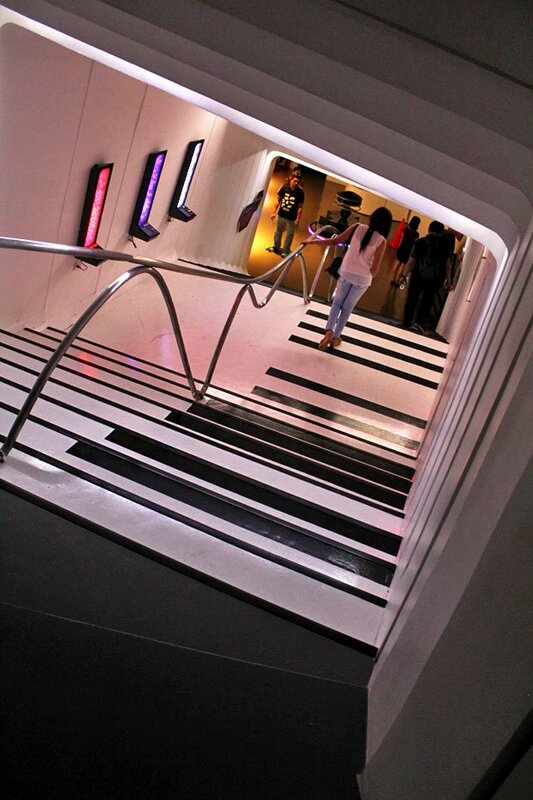 Like playing on a giant piano, these melodic steps were super fun to walk on. 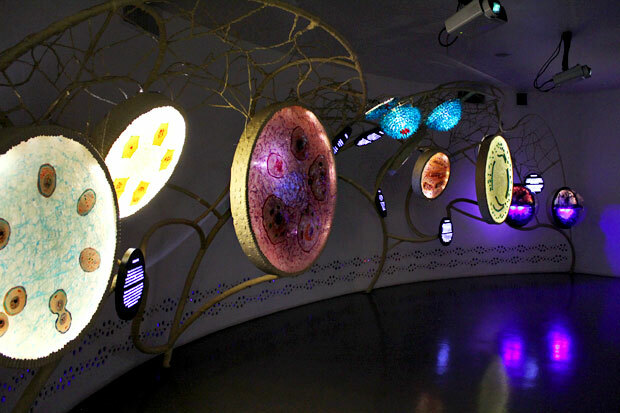 They take you up through the light bridge and into the Universe Gallery. The light bridge. 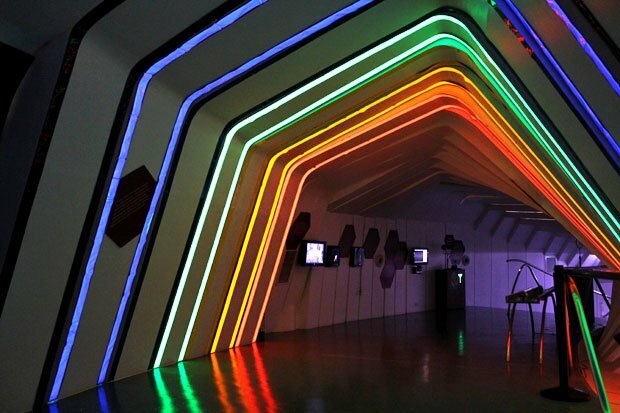 This tunnel contains exhibits about the different types of “light” — both seen and unseen — in the universe. Really cool. 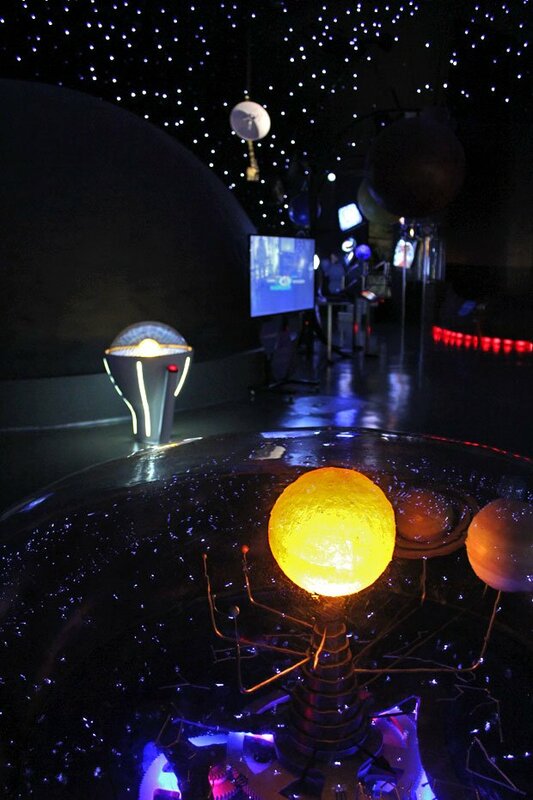 Home to a mini-planetarium, the Universe Gallery features exhibits about the universe and its origins. 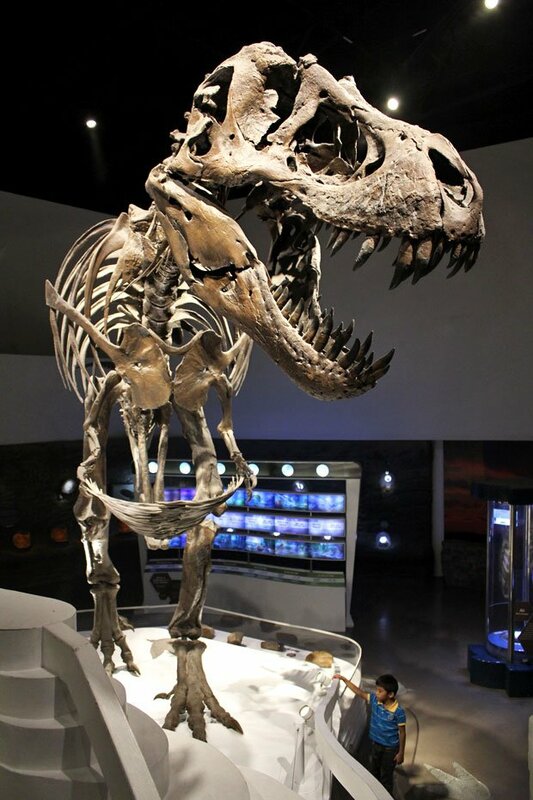 Home to a life-sized Tyrannosaurus Rex cast from actual fossils, the Earth Gallery tells the story of 4.6 billion years of evolution. I couldn’t get a good picture of it because it was too dark, but there’s a small room in this gallery as well where kids can play archaeologist and dig up fossils. Pretty cool. 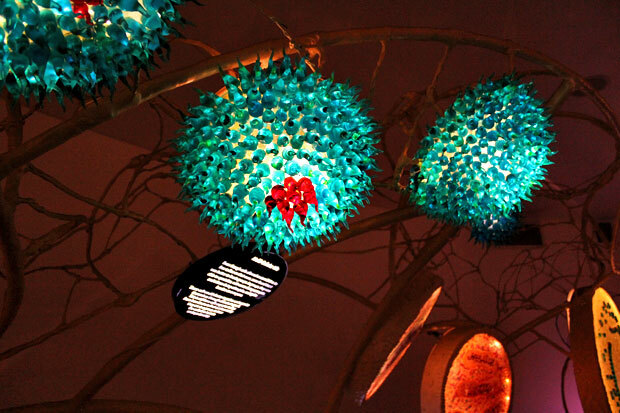 From microbes to living giants, the Life Gallery is all about life on Earth. Here’s a life-sized model of modern and prehistoric humans. I’m an animal lover so this was easily my favorite gallery. 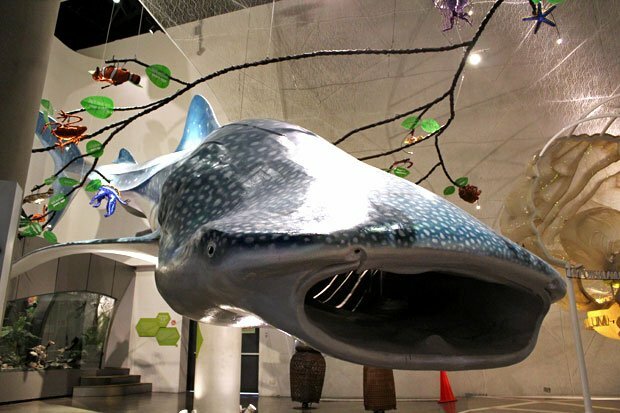 Life-sized replica of a butanding or whale shark. I had the privilege of swimming with these gentle giants in Donsol and Oslob. 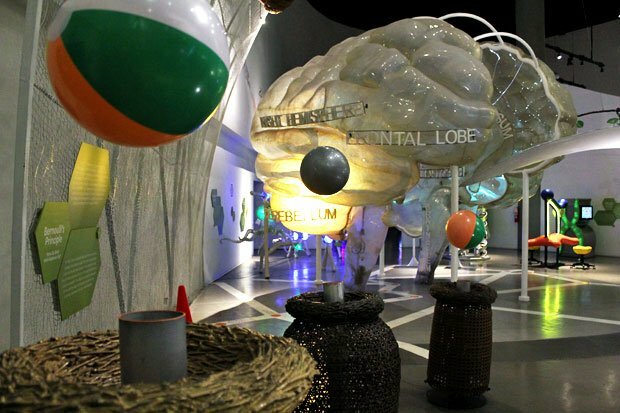 “Check out the big brain on Brad!” That giant brain exhibit was pretty cool. 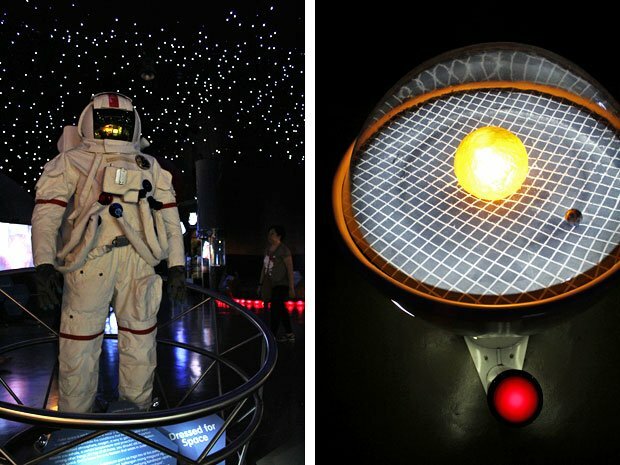 Split in the middle, you could walk between the two lobes and step on buttons that would light up and explain the function of different parts of the brain. See these three beach balls hovering in midair? They’re meant to demonstrate Bernoulli’s Principle, an idea that explains how birds are able to fly. Not sure what these things were. Viruses maybe? 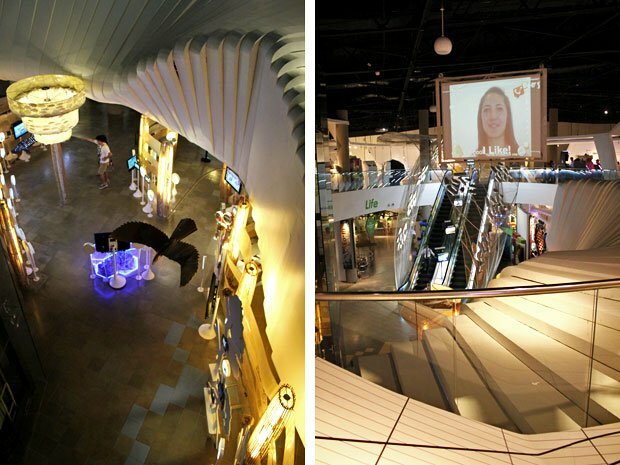 The Avenue of Life, an escalator taking you up to the second floor and the Technology Gallery. 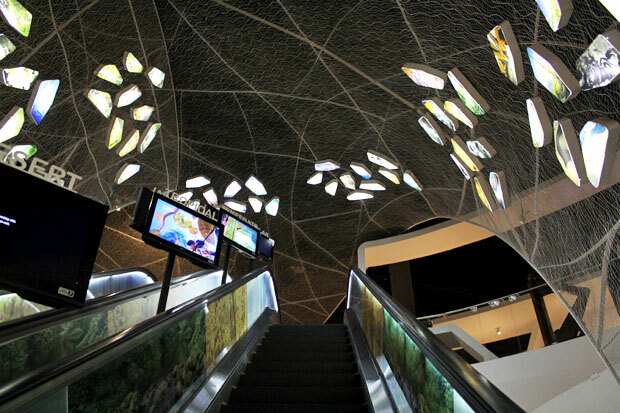 There are screens in the middle of the escalators that show videos about the Earth’s major habitats. 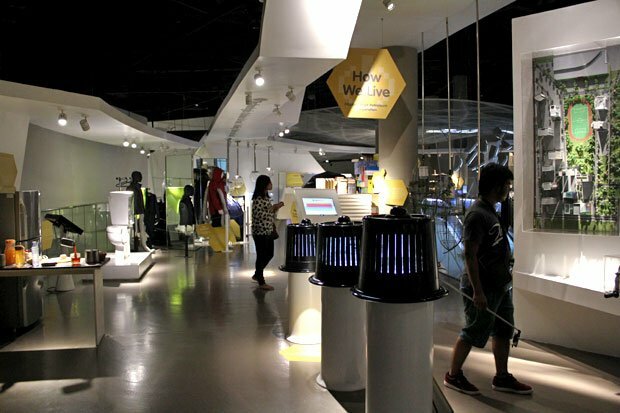 The largest of the five galleries, the Technology Gallery showcases exhibits about the tools and innovations created by humans throughout history. I loved how free-flowing the entire space felt. You never got stuck anywhere. 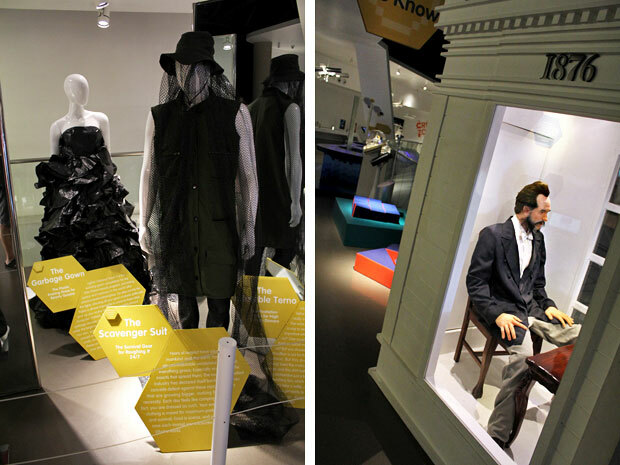 They did a stellar job curating the exhibits. Overlooking the Life and Atom Galleries. There’s a cafe on the second floor as well. 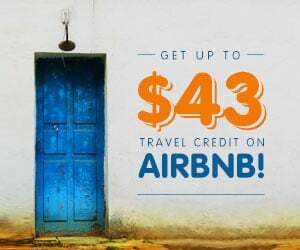 On TripAdvisor, you’ll find a few reviews complaining that the admisison fee is too high, that there aren’t enough exhibits, etcetera etcetera. The all-day pass goes for PHP 750 while the three-hour pass costs PHP 625 (PHP 475 for kids). 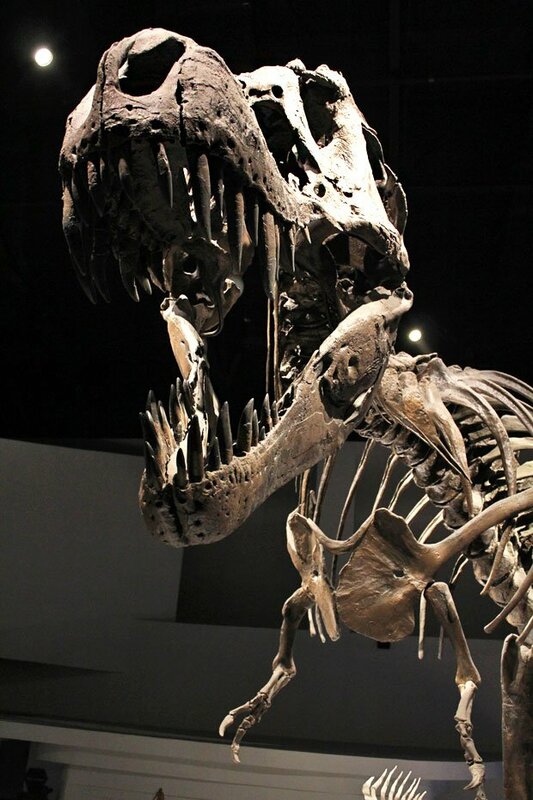 That may sound a little steep but I think it’s necessary to maintain a museum like this. 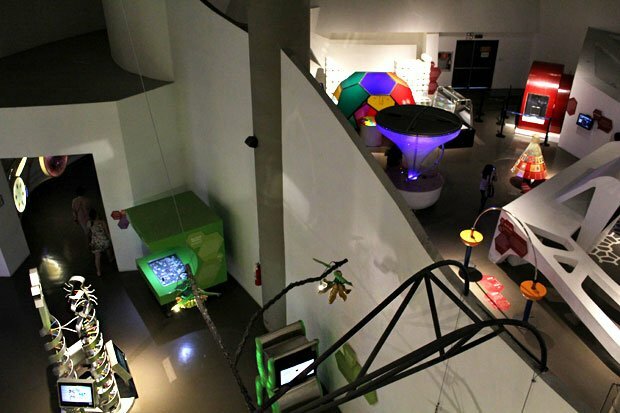 As mentioned up top, most of the exhibits are interactive so I’d imagine the upkeep to be fairly high. 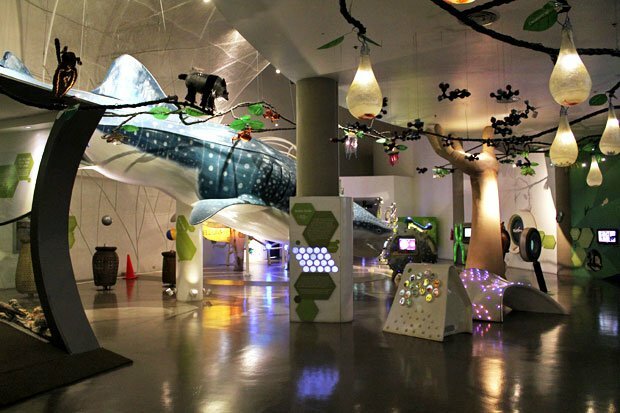 The good news is that you can get the all-day pass through Klook for just PHP 570. Also, a few commenters complained that many of the exhbits weren’t working, but I personally didn’t experience any of that. The place looked well-maintained, especially after three years of being open. Most everything still looked new to me. Every screen I watched, every button I pushed, every sensor I set off worked as it should. As for the people complaining that there aren’t enough exhibits to justify the price, I think they probably just breezed through the entire space without reading any of the information. There are signs all over asking you to read read read people! 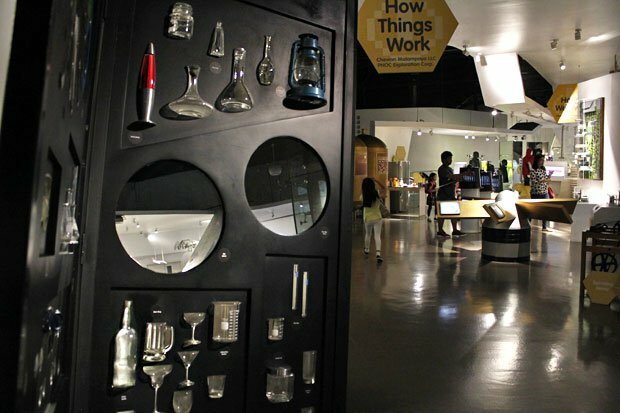 This is a science museum after all. It’s a place of learning, so yes, you are expected to read the information. If you do that, then three hours to get through the entire museum sounds about right. For me, it was time and money well spent. 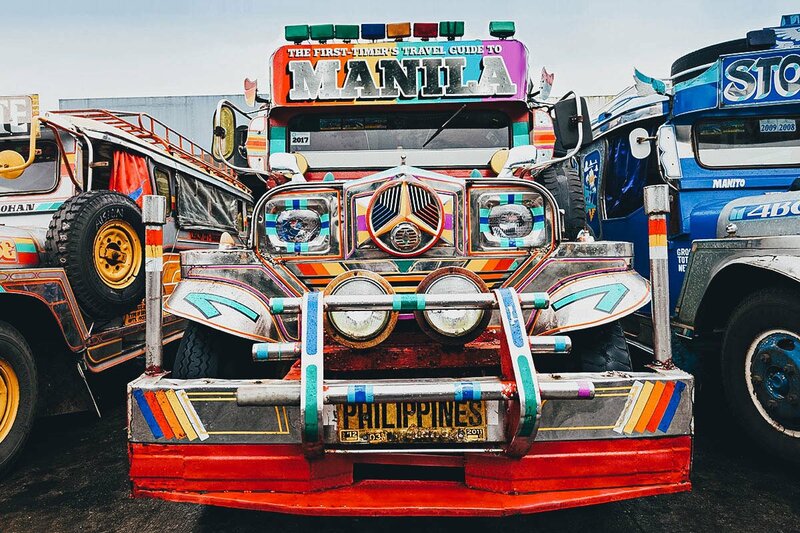 I love that Manila has more to offer than its natural resources. 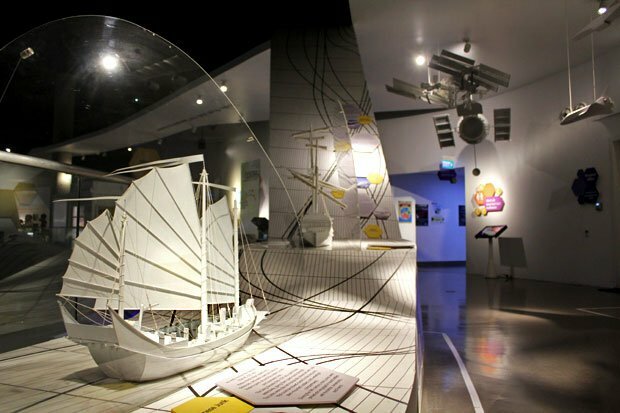 I watched how the country evolve and I am happy to see that they are now offering lots of new fun activities. 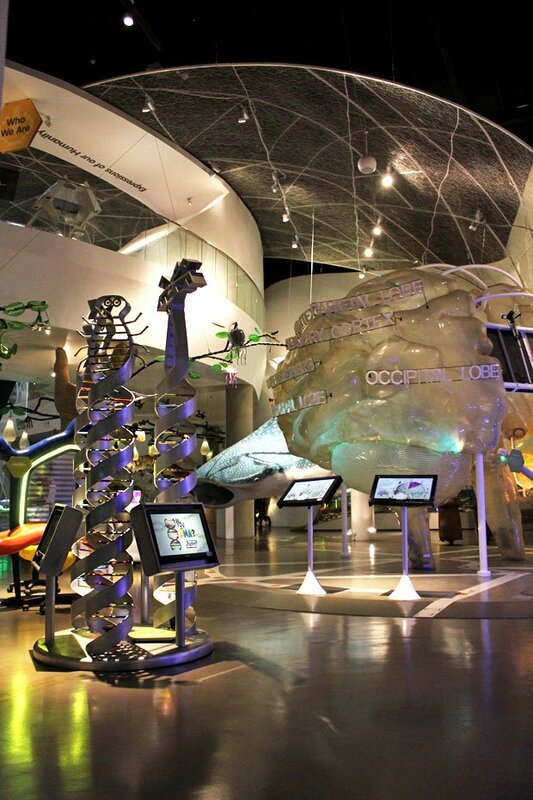 Thank you so much for the kind words about The Mind Museum. 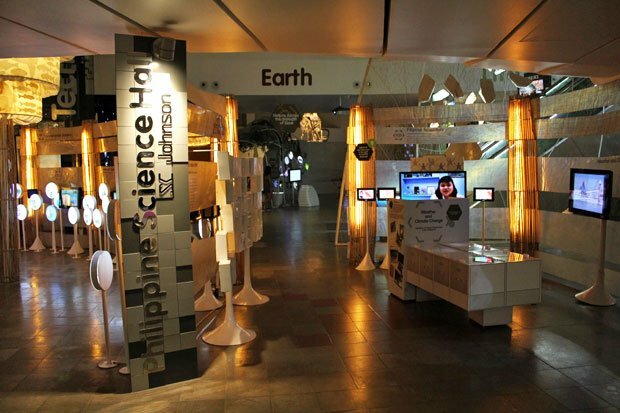 We wanted to give Filipinos the science museum that they deserved – something that they can truly call a collective place for wonder. 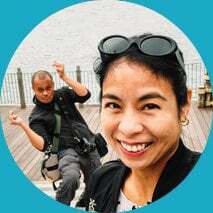 Thank you for your visit and even more, for writing about it. 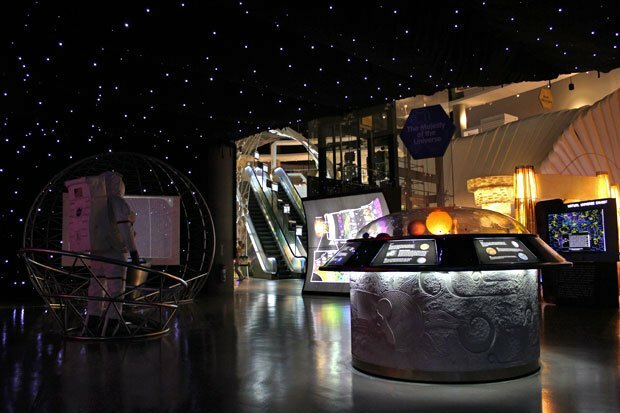 Every guest creates his or her own story with every visit to The Mind Museum. Yours was a captivating one.